How Will Buhari's Refusal To Sign Electoral Act Affect 2019? 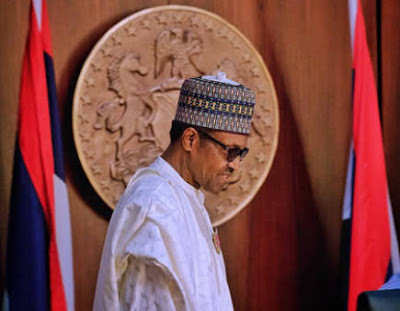 Nigerians have been reacting to the refusal of President Muhammadu Buhari to signed the Electoral Act Amendment as passed by the national assembly. I am very worried about the elections in 2019 because all you see is that instead of Mr President supporting measures and processes that will lead to free and fair elections, he is doing the reverse. As a very concerned Nigerian, I have been telling Nigerians to go and look for visas for them to travel because I suffered during the civil war and I am one of those who do not want to see another civil war. Mr President’s rejection of the amendment (s) to the Electoral Act will definitely undermine the 2019 elections. For example, the issue of the card reader, which dominated the last elections in the courts, was ratified by the legislature to become a lawful procedure. If he fails to sign that, is that good enough? Even the sequence of the elections which he refused was unnecessary. If he was popular, what was wrong with the sequence? Why would he say that he would not sign the amendments? With all these put together, my worry for 2019 is very serious; if the elections are not properly held and the military come on stage, it will not be good for all of us. I don’t think it would adversely affect the credibility of the elections if the Independent National Electoral Commission provides a level playing field and other stakeholders, such as the political parties, party supporters, voters and our security officials maintain neutrality. We still have a subsisting Electoral Act which was used for the 2015 elections considered largely credible by local and international observers. There are other innovations which may not require legislation, especially in the area of ensuring the secrecy of the ballot. If for instance, like INEC has said it would redesign the voting area in such a way as to discourage vote-buying, I don’t think this will require legislation and if the security agencies support this we will be fine. We have the Electoral law of 1999 (as amended) which derives its powers from the constitution. It is left for INEC to use what it has to conduct free and fair elections. It doesn’t mean that without an amendment free and fair election can no longer be conducted. What we are currently suffering from is the flexing of muscles between the executive and the National Assembly. Like the old saying when two elephants fight, it is the grass that suffers. If they have any understanding at all this should not have been an issue right from the beginning. You have a national assembly where the ruling party is supposed to be in charge but what do we have today? We expect that INEC will be working with relevant agencies of government to eliminate vote-buying that is sadly becoming a dangerous trend as we have seen in recent elections in parts of this country. This must not be allowed to continue if the election must be credible. We must all agree to do what is required to protect this democracy, there should be no excuse for anybody to deny Nigerians improved elections in 2019. If President Buhari eventually rejects the amendment, then the credibility of the 2019 elections would be in doubt, especially if the National Assembly fails to override the President on the amendment to the Electoral Act. It will definitely affect the 2019 elections; the election could be rigged. President Buhari would have wished the status quo remains the same. I say so because he (President) knows he is not as popular as he was before the 2015 general elections. But the National Assembly with its current leadership will override the President on the amendment of the Electoral Act. It is obvious that Buhari will not sign it. The amendment to the Electoral Act is meant to ensure free and fair elections so that nobody will go and produce two million fake votes overnight. It is a way of ensuring that the election results that will be announced are the actual results from the polling units. The amendment brings in a sort of legal recognition to the card reader so that the figures from the card readers correspond with the total votes. A situation where card readers read 20,000 and somebody is announcing one million votes is unacceptable. The amendment to the Electoral Act will address all these. You can see why some politicians would want to run away from it. It is the President’s prerogative to assent or refuse to assent to any amendment bill enacted by the National Assembly. As far as I am concerned, that has yet to become a law. Now, if one is to believe what the President is now saying, I think there is no big deal about it. Except for the fact that a lot of valuable time has been wasted and that if he had thought that there were these errors, he could have easily communicated to the National Assembly in a less dramatic manner. Now that we have come to this situation, the National Assembly has one or two options left. They can recall the bill and rework it and if they feel the reasons the president gave were negligible, they can in fact override him and it would become law. This bill is important to the effect that there are local and international considerations at play here. One, you know that Buhari took over as chairman of the Lake Chad council of Heads of States and Heads of Government. In that capacity he is responsible for implementing and executing everything which ECOWAS committee of Heads of States and Heads of Government does. It is therefore in bad taste for the President not to have an effective functional electoral law a few months to major elections. This is because, within the statutes of ECOWAS, it is said that if within about six months a law has not been passed to that effect, it’s quite a problem because democracy is considered highly within the sub-region. It must be said at this point that Nigerians are getting tired of excuses and I want to believe they will not accept excuses this time round. We expect nothing less than an election in which the votes of the people will count and must count come 2019.